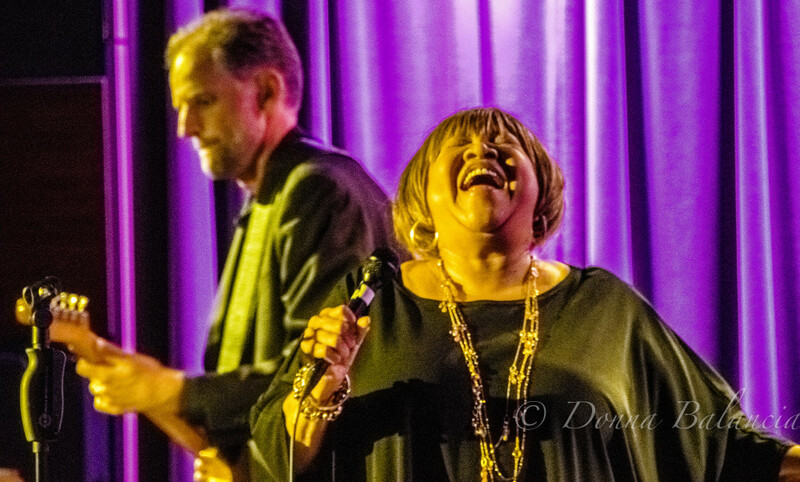 By DONNA BALANCIA — Mavis Staples was awarded the Woody Guthrie Prize at the GRAMMY Museum in downtown Los Angeles Wednesday night. 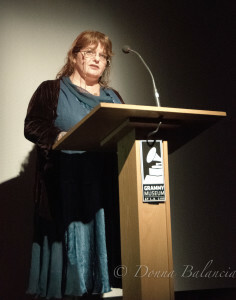 Among those on hand for the prestigious event were Bob Santelli GRAMMY Museum executive director, and Deana McCloud, executive director of the Woody Guthrie Center in Tulsa, Okla.
Megan Ochs, the daughter of Phil Ochs, accepted the Woody Guthrie Legacy Award on behalf of her father. Staples said she was honored to receive the Woody Guthrie Prize, particularly since The Staples Singers — comprised of patriarch Roebuck “Pops” Staples, Cleotha, Mavis and Pervis Staples — always loved Guthrie’s songs. 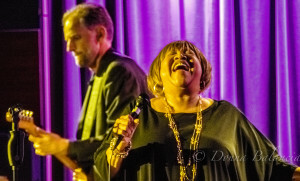 The lively leader of The Staples Singers, Mavis gave an audience of GRAMMY members and guests insights into her inspiration to sing and record freedom songs. The Staples Singers had a history of gospel, but it was during the time of the preachings of Dr. Martin Luther King that they found their calling. She said until the Staples Singers came along, gospel had not previously been blended with blues and it was something that made her family unique — even though their sound was met with a degree of resistance. Staples said some things have improved, compared to the day and age in which she was raised. She said her father was 18 and her mother was 16 when they married and that her father was proud of her mother’s cooking.